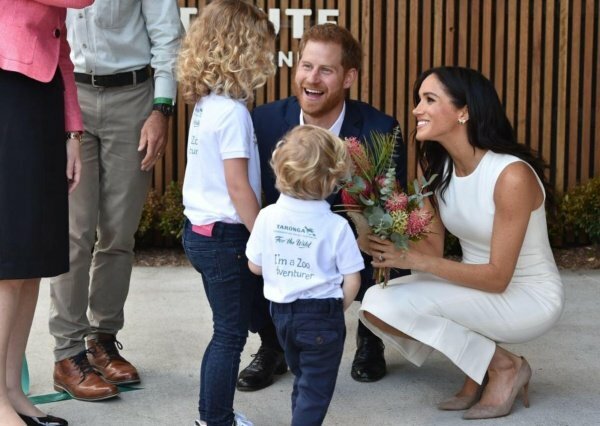 The Duke and Duchess of Sussex have finally started their long-awaited Australia tour. They were welcomed by New South Wales Governor General Peter Cosgrove and his wife, Lady Lynne Cosgrove. Mr and Mrs Cosgrove gave the Royal couple their very first baby gift; a stuffed kangaroo along with a baby joey and Ugg boots. 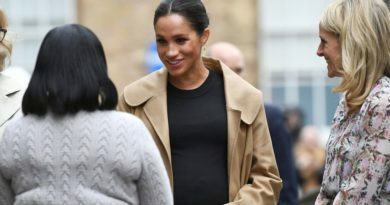 Meghan expressed her excitement after receiving the baby gift, saying: “That’s so cute, it’s our first baby gift.” The group then continued with their plan of meeting some of the animals at the Taronga Zoo in Sydney. 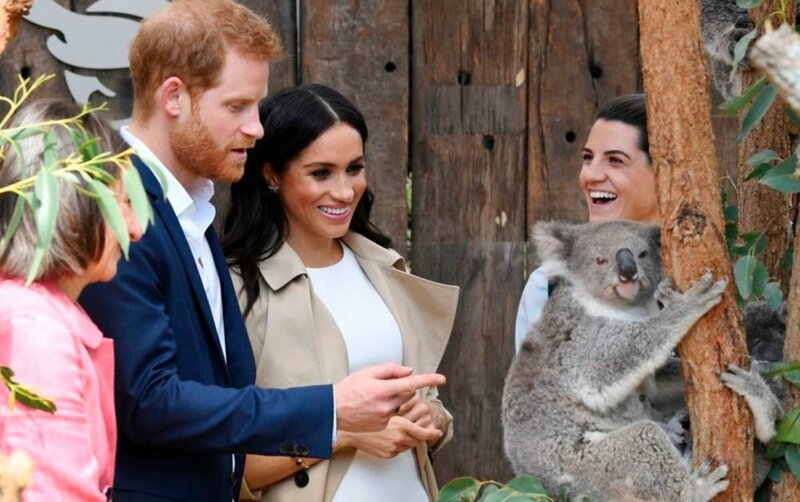 At the zoo, the couple met two koalas and their babies, who are actually named after Meghan and Harry in honor of the couple last May. These koalas are part of the zoos breeding program. 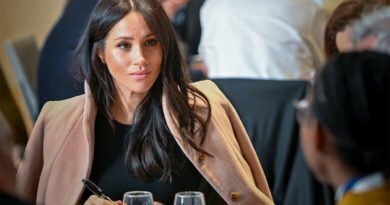 After their meeting with the koalas, the Royal couple met conservation scientists who are working on stopping the illegal wildlife trafficking trade. They met with tons of other animals at the zoo. They met with an echidna, who seemed a bit excited to meet the royals, as it was drooling at not a normal rate. But there is nothing to worry about, according to the zoo keeper. They also met with some native species, especially a possum known as a yellow-bellied glider. At the end they were greeted by two children who gave them a small bouquet of flowers. 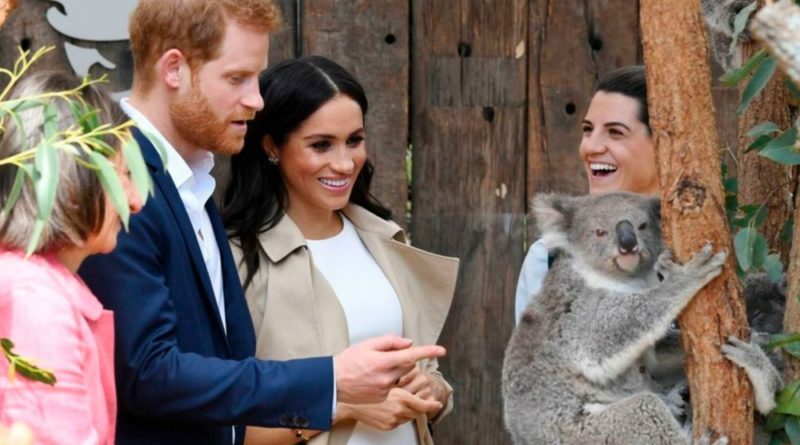 This isn’t the first time that royals have visited the Taronga Zoo. Back in 2014, Prince William and Kate Middleton also paid the zoo a visit, with Prince George being but a baby. After they finished with their visit to the zoo, Meghan made a small pit stop. 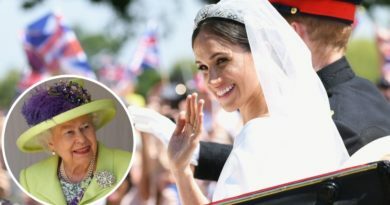 She put on a trench coat over her cream dress designed by Australian designer Karen Gee, and changed into flats instead of heels before her second official engagement for the day started. The second stop for the royal couple was the Royal Opera House. There they watched rehearsal of Spirit 2018 by the Aboriginal and Torres Strait Islander modern dance company, Bangarra Dance Theatre. The tour is meant to focus on youth leadership and youth-led projects aimed at addressing “the social, economic, and environmental challenges of the region”. The palace said in a statement that Harry “is particularly keen to highlight these youth-led initiatives in his new role as Commonwealth Youth Ambassador, and to shine a light on the work and aspirations of young people across the Commonwealth”.